The asymmetric tread ribs are designed to absorb the considerable forces acting on the tyres when driving at high speeds, making abrupt manoeuvres or when the road surface changes. This ensures the vehicle maintains good adherence to the road and allows for agile steering precision. "+ Very good safety reserves in hydroplanning. 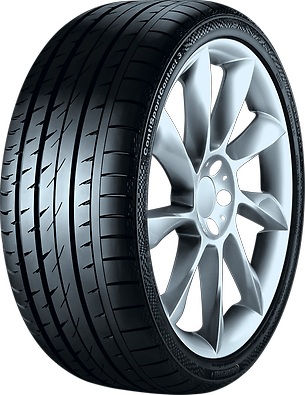 The tyre shows balanced, dynamic driving characteristics with good cornering and steering accuracy on both, dry and wet surface.